Vegetable Basmati Rice with Honey - Kosher In The Kitch! 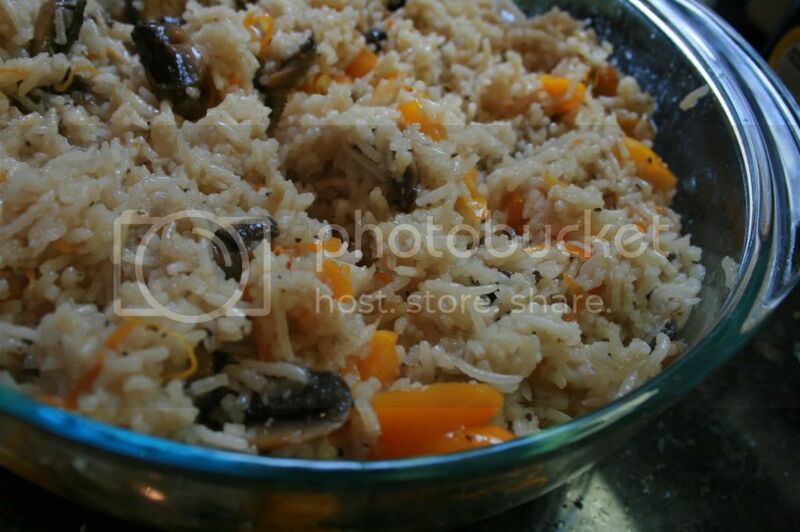 Vegetable Basmati Rice with Honey - Kosher In The Kitch! My sister Tova got this recipe from her friend Bella Alroy. Tova then combined this recipe with a tip from her brother in law, Yankel Kagan. He told her that when making rice add some honey to it after it has been cooked for the ultimate flavor. Add the water along with 3 tablespoons of oil (after you have added it do not mix the ingredients in the pan together) cover with foil and bake on 350 for an hour and a half. Once the rice has been cooked, drizzle in some honey and mix then serve. Was disappointed, it came out sticky and without knowing how much honey to put in it it was rather bland! How much water? How much honey? 4 cups of water. Once it has cooked, drizzle honey ovr it before serving. As much or as little as you would like! Start off with 1 tablespoon.